Akhalkalaki a provincial Armenian town in Georgia, is depicted as burlesque and the same time tragic model of a Soviet town. 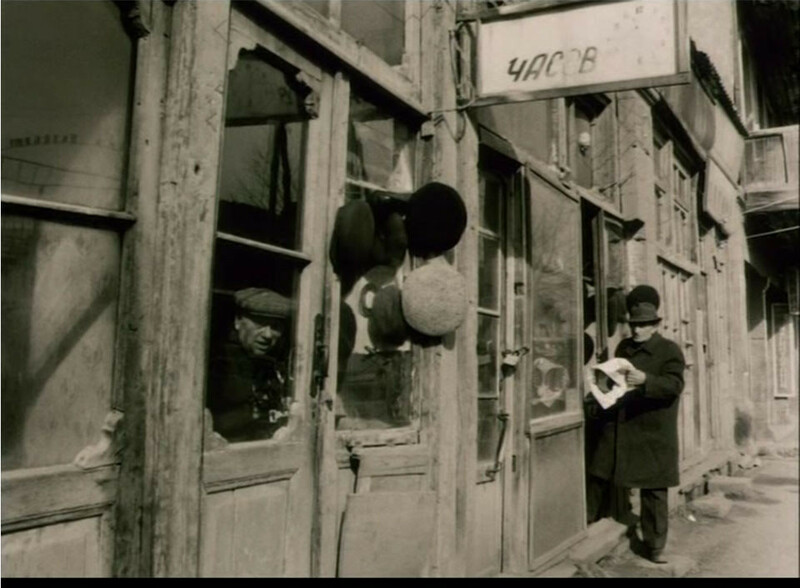 Shot in 1988, only a few years before the collapse of the USSR, White Town in a way predicted the upcoming national conflicts, on the on hand, and the raise of the national movements on the other. Khachatryan is a director, producer, scriptwriter, and Honored Artist of RA. He graduated from the Film Department of the Department of Culture of the Armenian State Pedagogical University in 1981. Between 1981-1986, he worked as an assistant director and film director at the Armenian Documentary Studio and between 1987 - 2005, he worked in Hayfilm Studio as Director and Producer. He has directed films that have been awarded at various international film festivals. He received the State Award of Armenia for his film Documentarist, the Award of President of RA, and Hayak National Cinema Award for Border. Since 2006, Harutyun Khachatryan is a voting member of European Film Academy, Director of Golden Apricot FCD, and since 2004 the Co-founder and the General Director of Golden Apricot Yerevan IFF. Harutyun Khachatryan was awarded with the Prince Klaus Award in 2007. In 2008, he became a Chevalier of the Order of Arts and Letters by the Ministry of Culture of France. The Voices of the District (1981, short), Hosted by the Commander (1985, short, doc. ), Chronicle of a Case (1985, short, doc. ), Three Rounds from Vladimir Yengibaryan’s Life (1986, short, doc. ), Kond (1987, short, doc. ), Boomerang, launch N5 (segment “Revenge”, 1988) , White Town (1988, short, doc. ), The Wind of Emptiness (1989), Return to the Promised Land(1991), Last Station (1994), The Documentarist (2003), Return of the Poet (2006), Border (2009), Endless Escape, Eternal Return (2012).